Hyderabad: The world is talking about gender equality and diversity at workplace. Women constitute about 50 per cent of the total adult population in the world. Yet, in terms of employment opportunities, women face several challenges. Realising this challenge, Shilpa Rao took up a journey to create a platform that will provide remunerative and flexible opportunities to women to make a more fulfilling use of their time. 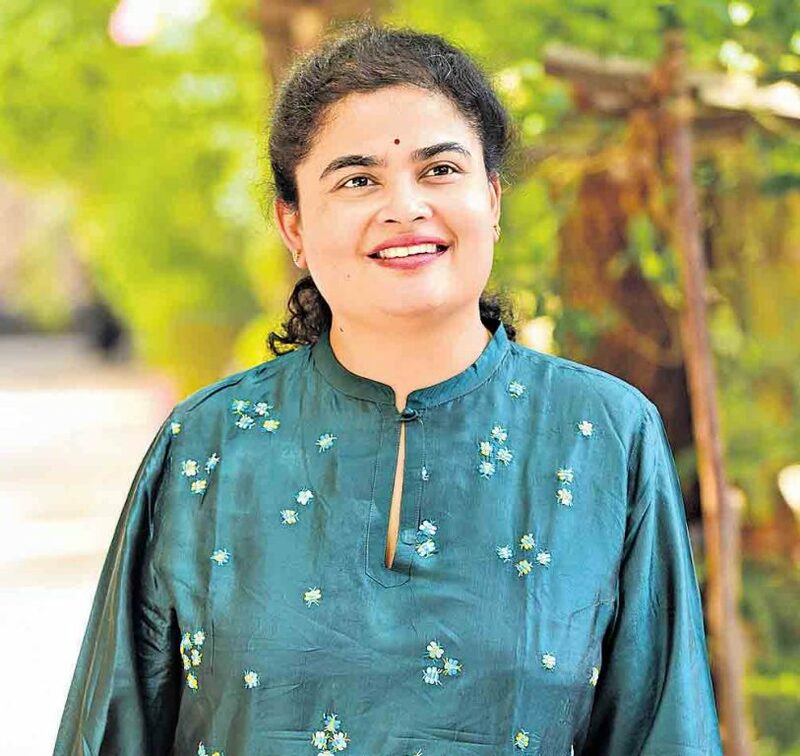 Shilpa after pursuing her Post Graduate in Management Information Systems from Osmania University, worked for six years in the banking sector, before quitting to have a baby. Since then, she has been looking at opportunities for gainful employment, and a professionally satisfying role which allows a flexible and satisfactory work-life balance. After noticing various challenges of taking a job while still looking after a young daughter, she has been exploring various options for part-time employment and their fitment into her life in terms of allowing her to give adequate time to her daughter and other family responsibilities. From this was born the idea of V-Pact which got incorporated during end of 2014 in Hyderabad, a platform that will allow similarly placed women to find gainful employment while still allowing them to meet their personal and family responsibilities. She believes that providing such an opportunity will go a long way in empowering women to identify flexible employment opportunities without altering their choices of work-life balance. V-Pact aims at enabling women to access part-time employment opportunities, either on an assignment basis or on an hourly basis, so that they become economically productive members of the society. The service is provided using a web-based portal that brings potential employers and women looking for part-time employment opportunities together onto a single platform. In several service functions and industries, there is an acute shortage of capable resources with education and experience. This is matched by a number of women with the skills and expertise who have stopped working full -time owing to personal reasons. V-Pact seeks to act as a bridge connecting them. Shilpa, who is a member of All Ladies League (ALL), is looking at imparting certain skills to women. The portal will help in filling even remote jobs. Several multinationals are opening up for flexible workforce who can work on part-time basis as well as work from home. Many of these firms are also increasing the intake of women into their workforce. A lot of women can come into technology space. “Education apps are looking for teachers. Women can take up these roles. We are seeing a huge demand for content writers for many apps that are under development. There are many openings coming up on assignment basis. Our platform wants to create more jobs and through this, I want to create significant impact. We have already created several hundreds of jobs for women, mostly at senior level positions,” she said. Also, there are many retired defence, police and security officers who are looking for meaningful second innings. V-Pact is keen to serve this space. Other area the company is open to explore is placing specially-abled in organisations that value skills and attitude. V-Pact also wants to rope in mentors who can guide women entrepreneurs, self-employed. Shilpa who has been invited by Tarmac SF, a 3-month acceleration programme in the Silicon Valley, specifically designed for international startup founders interested in expanding their startup’s vision in the US, finds that there is a huge demand and supply in every field, and with right mentors startups can make a difference.